You are here: Home / Reviews / Comic Book Movies / Suicide Squad Movie Review! Call Me Crazy, But I Liked It! I liked Suicide Squad. It’s a good Suicide Squad movie! Given the critical devouring, like Killer Croc latching on to a prison guard at feeding time, I was completely surprised to walk away realizing that DC actually delivered a consistently enjoyable film, faithful to the spirit of Ostrander, Yale, and McDonell’s Suicide Squad. Here I stand, though, with a uniformly positive Suicide Squad experience. Will Smith’s Hancockshot was great, Margot Robbie’s performance was the most I’ve enjoyed Harley Quinn since 2001, and good golly, Batman One-Punch-Manned a crook underwater! There are zillions of criticisms, wishes, and laments that could bog down this opening, but in general I just feel refreshed to see DC telling DC Comics stories with a semblance of confidence and skill. If this was a Justice League Unlimited animated introduction to Task Force X, I’d have enjoyed the heck out of it (high praise where I’m from). Sure, there’s some awfully laughable dialogue, some unintentionally hilarious Enchance-dance, but there are also some witty one-liners and standout performances (Here’s looking at you Captain Boomerang) in the exact kind of Suicide Squad I expected from DC. At the end of the day, Suicide Squad is just solid, true to the Suicide Squad I know (Ostrander and crew build to that Enchantress showdown relatively quickly in their run), and makes me want more from this team in the continually expanding DC Universe. Oh what might have been, though. In so many ways, Suicide Squad feels like it just misses truly electrifying heights, instead settling for a gentle splash into a vat of Ace Chemicals. For a movie starring all villains and criminals, Suicide Squad is oddly watered down, violent without shocking, and crass without pushing any boundaries. As I’ve already said, there’s enough good in the characters and Ostrander’s original concept that this is all fine, but it’s disappointing to see another comic book movie settle for the middle. 1) The award for best line my wife whispered to me after suffering yet another comic book movie at my hands goes to “Could this be any slower?” during the excruciatingly overextended slo-mo final big bad destruction. 2) The last thing you want to hear about a Joker performance is that it’s forgettable, yet that’s exactly where Jared Leto netted out. The Joker’s not scary, funny, or charismatic. What does that leave? Druggy? Credit where it’s due, Leto is clearly trying to steal every scene he’s in, but his admittedly impressive purring skills don’t ever capture the least interesting clown prince of crime we’ve seen on screen. 3) Strangely, Leto’s airless Joker accidentally worked quite well as an ancillary running gag freeing Harley Quinn from impossible situations and explaining her origins. If you could cut out the 25 to 30 minutes of Joker, and just keep the stuffed animal and Halloween Batman robberies, we’d have had time for an actual political Suicide Squad caper. 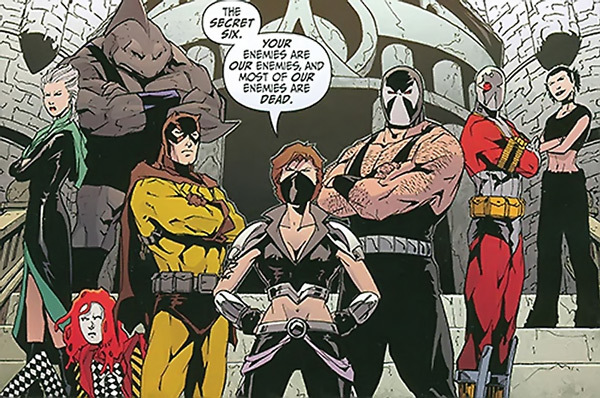 4) The biggest missed opportunity in my opinion was that Suicide Squad just Enchantress’ed its way to top secret government documents, rather than sending in the Squad on a covert international op. This is absolutely the heart of what makes the original Suicide Squad run so great, and diving head first into the supernatural big bad did not allow the team to build as effectively. 5) I don’t look to Suicide Squad for my social progress, but good grief, interactions with El Diablo were one ‘homie’ or ‘ese’ away from the writers trying to fit him in a sombrero for the third act. How about we let an otherwise interesting character just be interesting? 6) I can’t imagine a better Amanda Waller than Viola Davis, but that cold-blooded murder of FBI agents felt a step too far. Maybe I’m wrong here, or simply trying to tie the Wall to too rigid a character understanding, but I always thought the Wall was the toughest meanest boss around… but not a murderer. To be fair, she does know how to get away with it. 7) I don’t have the slightest idea what to make of the larger DCEU implications of Suicide Squad, and to be honest, I don’t even want to try. We know from B v S: Righteous Guitar Licks that the Joker has done unspeakable things to Gotham and the Bat, and yet when Batman chases him down on the streets, he doesn’t see any reason to use those Bat machine guns we saw so prominently in B v S: Killin’ Thugs? And good grief, what was the everlovin’ point of a “Batman’s gonna put the Justice League” together scene? Ok, ok, I said, I’m not going to try, and I’m not. 8) I really liked Will Smith in this movie (kid’s a gonna have a great career), but if you want an off-the-charts complex Deadshot, you have got to read the Ostrander, Yale, McDonnell Suicide Squad, and eventually Deadshot miniseries. The Deadshot mini is genuinely one of the most shocking comics I’ve read in the last two years, and it was written over 25 years ago. 9) It sure doesn’t seem like there’s much of a chance of this Squad teaming up for a sequel any time soon (the Justice League will be on the prowl, plus Harley is back with Mistah J, so why not just go bigger and more out there with Gail Simone’s Secret Six lineup? Catman is exactly what the comic book movie infrastructure needs. 10) DC is now officially 3 movies into their expanded cinematic universe. At this point, Marvel had just drooled out Iron Man 2. I for one am excited for what’s to come. Far from perfect, just like the misfits of Task Force X, Suicide Squad gets the job done. I also liked it. Thought Joker was bad. Everything else was fine. The Enchantress voice acting for that final CG battle was horrible, I suppose. They really went for EPIC AS POSSIBLE, and missed out on some good plot opportunities. But who goes into a “bad guys form a super-team” movie and expects a plot? I mean really. I liked it too, like a mix of gotg with deadpool, but not as good as either. Still good. I like to think of this new DC film universe as a dark evolution of the dini/timm animation stuff. Funny that you mention jlu, because I thought batman v supes was like that too. Yeah, this really bothered me. 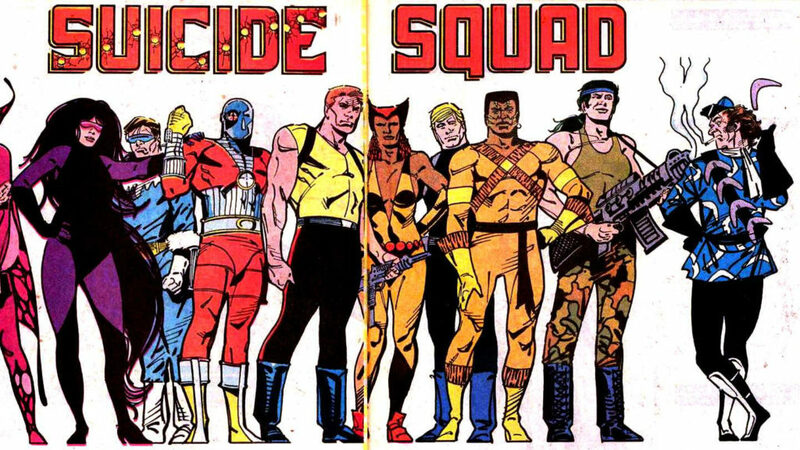 I haven’t had the chance to read Ostrander’s Suicide Squad comics yet — though I want to — but my understanding is that she didn’t go around murdering government agents. And yet I’ve seen many people online defending this scene as an example of Waller’s “ruthlessness” and a “perfect Waller moment”.